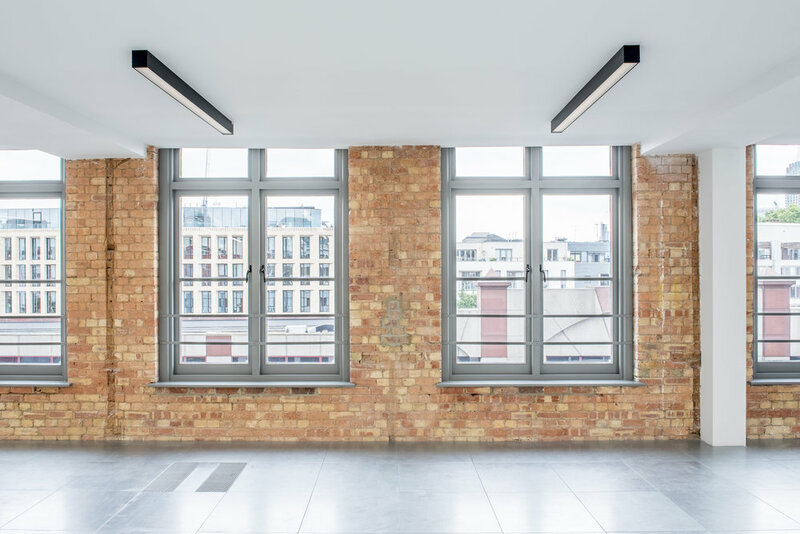 This was a major refurbishment of an existing warehouse building on Farringdon Road to remodel the common parts – including the entrance reception and core – and the six upper floors of office accommodation. We added a new lower ground floor cycle facility with storage, changing rooms and showers, and applied new finishes throughout in keeping with the building’s industrial aesthetic. Our design optimised the core layout and achieved a net area gain by removing the secondary stair. With its illustrious past as a showroom-warehouse of the cabinet ironmongers W A Hudson, the 4-storey brick and steel building in this vibrant street in Shoreditch was remodelled at ground floor level to create a self-contained showroom. 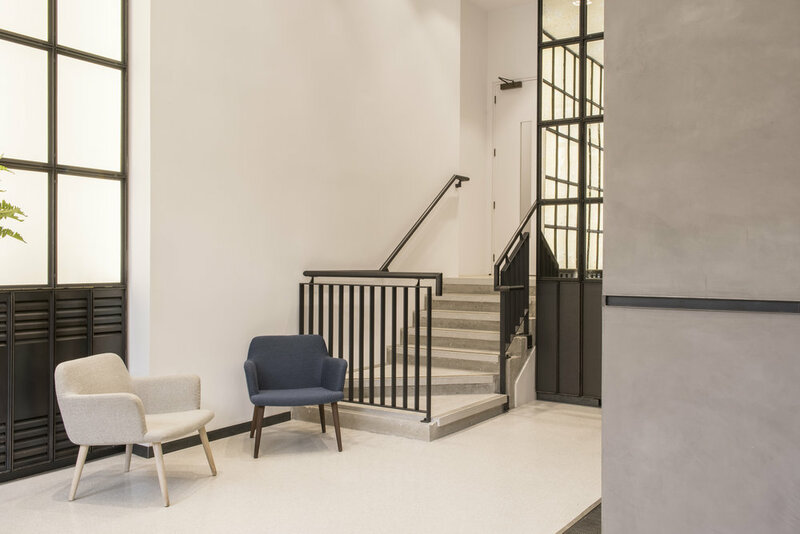 Set within the original courtyard, one first passes through the central passageway of the building where the showroom, with its fully glazed entrance wall and glazed roof, reveals itself - an infill of a previously unused area of the site. The finely detailed, contemporary insertion contrasts artfully with the distinctive black and cream banded brickwork of the original building. 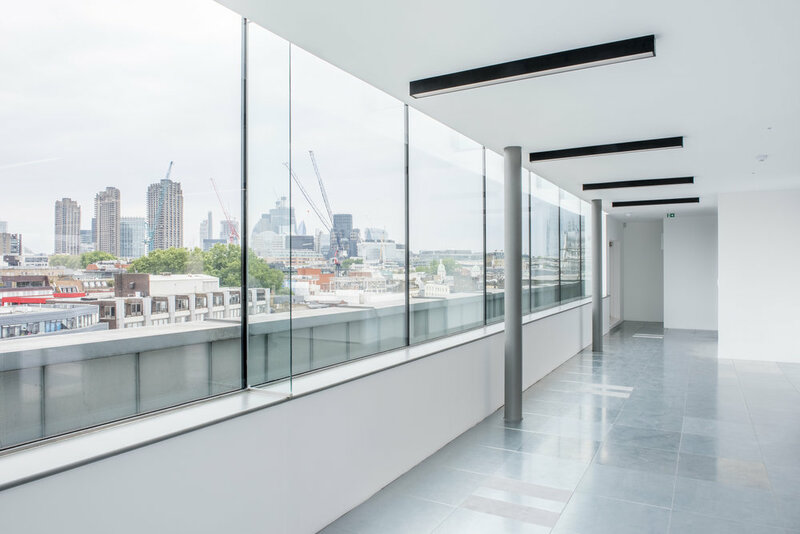 Our riverside studio in Greenwich was created within a speculative office space beneath a new-build residential block. The high-ceilinged volume is glazed to one side, while opposite, a gridded display wall runs the length of the studio to provide storage and display opportunities. 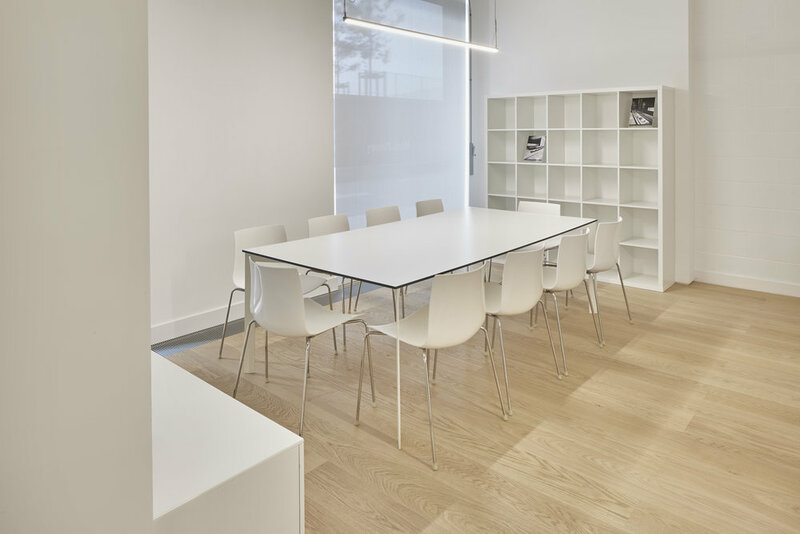 An open-plan layout promotes discussion and interaction within the studio, with kitchen and print room facilities offered within free-standing ‘pods’. 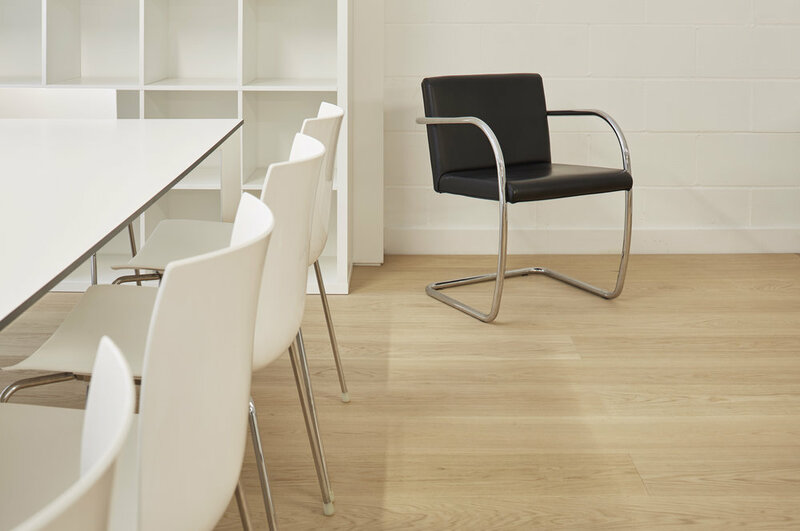 The result is a calm, bright and inviting working environment for our outstanding team.